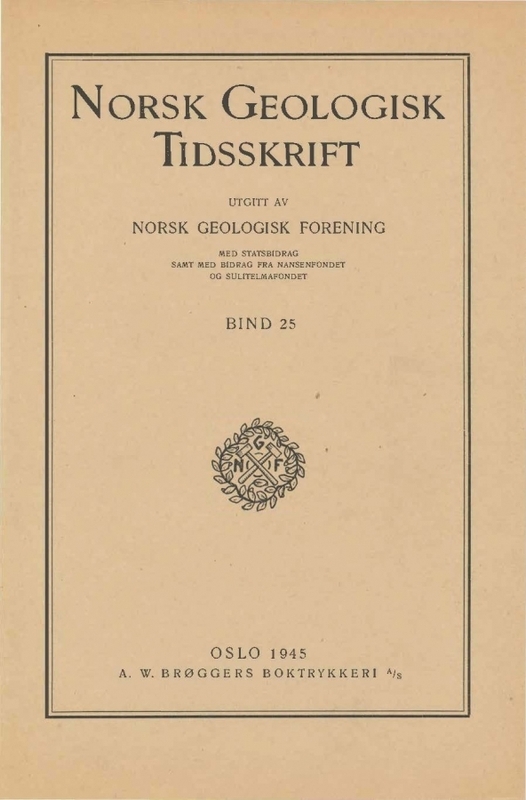 A rapid survey of the Pre-Cambrian areas around the Oslo-Fiord (the waters Oslo-Son). Preliminary note. During several years I have been mapping the pre-Cambrian areas around the Oslo-Fiord (the maps Oslo and Moss) . Because of the unfortunate martial conditions in my country I have been late in working up the material collected, and, due to the same conditions, it probably still will last a couple of years before I shall be able to publish a complete geological map and petrographic description of the areas. However, some interest may be attached to the preliminary results, and since it is impossible to know when the conditions again will be such as to permit me to complete my work, a preliminary map is here offered for publication. Slight corrections and ammendments may have to be introduced, however, after the completion of the petrographic analysis of the material.